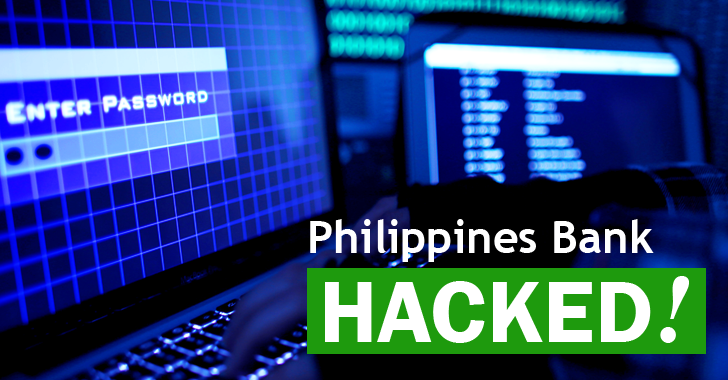 SWIFT Bank Hackers have attacked another bank in the Philippines using the same modus operandi as that in the $81 Million Bangladesh Bank heist. Security researchers at Symantec have found evidence that malware used by the hacking group shares code similarities with the malware families used in targeted attacks against South Korean and US government, finance, and media organizations in 2009. These historic attacks were attributed to the North Korean hacking group known as Lazarus, who hacked Sony Pictures in 2014. Also Read: How Hackers Stole $80 Million from Bangladesh Bank. “At first, it was unclear what the motivation behind these attacks were, however, code sharing between Trojan.Banswift (used in the Bangladesh attack used to manipulate SWIFT transactions) and early variants of Backdoor.Contopee provided a connection,” Symantec blog post says. In past few months, some unknown hackers have been targeting banks across the world by gaining access to SWIFT, the worldwide inter-bank communication network that is being used to transfer Billions of dollars every day. Two weeks ago, Investigators from British defense contractor BAE Systems discovered that malware used in the Bangladesh $81 million cyber heist was almost identical to one used to infiltrate banks in Ecuador and Vietnam. Investigators are examining possible breaches at as many as 12 banks linked to Swift’s global payments network. Also Read: How Did SWIFT Hackers Go Undetected? In the wake of several cyber attacks against banks, the head of the Society for Worldwide Interbank Financial Telecommunication (SWIFT) promised to improve payment system security with new programs and tighten the guidelines for auditors and regulators.